This page is dedicated to students that have achieved their blackbelts & above through Allstars Kickboxing. Abagail is my first female Black belt. Training 4 times a week with me including one to one lessons there was no holding her back when she had her mind set on a Black belt....WELL DONE ABS !!! keep up the hard work !! A great young martial artist who is very inspirational to everyone at Allstars Kickboxing. A well deserved black belt 1st Dan & a future instructor in the making. Putting in the effort certainly paid off for Ben after training 3 times a week he finaly achieved his goal. 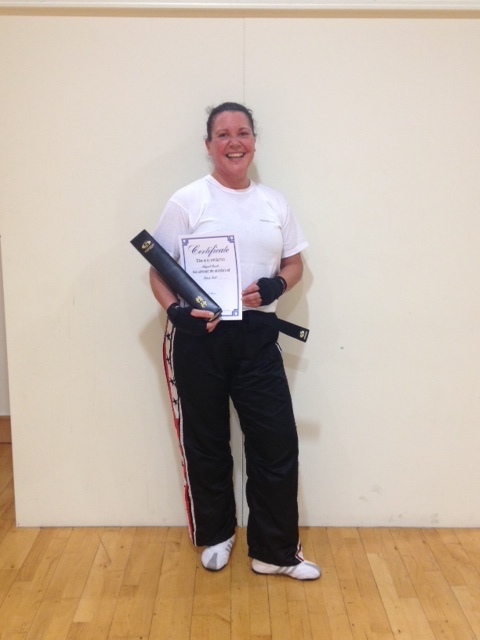 Another well deserved blackbelt 1st Dan...keep up the hard work. Well done Tim for achieving your blackbelt 1st Dan...We should nickname Tim "raging bull" as this guy never slows up during any lesson always giving 110%...keep up the hard work ! Well done Tim...Who said age is a problem ?? Tim is one of my oldest students to achieve his blacbelt 1st Dan.A very hardworking guy during each lesson,always giving his best & more...keep up the hard work !! Chris was my first Blackbelt at Allstars Kickboxing,Chris's great technique & speed helped him achieve his dream of becoming a Blackbelt.Chris will always be welcome back to train or teach at Allstars Kickboxing. Jerian says, â€˜, we have to put on the Wizards hat.' I say, â€˜I'm not so sure.' It was a little confusing, but it Josh Gordon Jersey exciting. After colliding with the turf, he remained motionless Jalen Ramsey Jersey a few seconds before regaining consciousness and sitting up, with the aid of Dolphin's trainers. If you had pursued football after high school, what do think your life would have been like as an athlete? Throughout this game I've gained five wonderful, beautiful Marcus Allen Womens Jersey Even once he is healthy enough to play, he'll now have to contend with Ferrell and perhaps J.J.
Green is a political theorist with broad interests democracy, ancient and modern political philosophy, and contemporary social theory. Brantley played just 11 last following surgery on his right shoulder. The 49ers could be using Evergreen for its next two resoddings, which have quick turnaround times, before returning to West Coast to provide the advance of their regular- opener against the Vikings on Sept.
is averaging 1 points per play, which Ben Hutton Jersey him the 93rd percentile Roy Oswalt Jersey all players, according to Synergy Sports data. He qualified as a Chartered Accountant 1987 and completed his articles at a Colorado Rockies Womens Jersey South African auditing firm.